ATS will be closed Saturday 10.10.15. Sorry for the inconvenience! Come hang out and get ready some snow to fall! It’s that time of year again! Snow is starting to fly in the upper elevations and winter is right around the corner. With the change in seasons comes NWAC 2015 SnowBash, the annual fall fundraising party for the Northwest Avalanche Center (NWAC). Come join us for an evening of music, great raffle prizes and beer on tap from Pyramid Brewing, Fremont Brewing, and a special collaboration NWAC beer from Aslan Brewing. There will be local eats available for purchase from Peach and the Pig food truck. DJ will be onsite spinning the local beats. Come to the store early and shop, as evo will be donating a portion of proceeds from sales that day to NWAC. 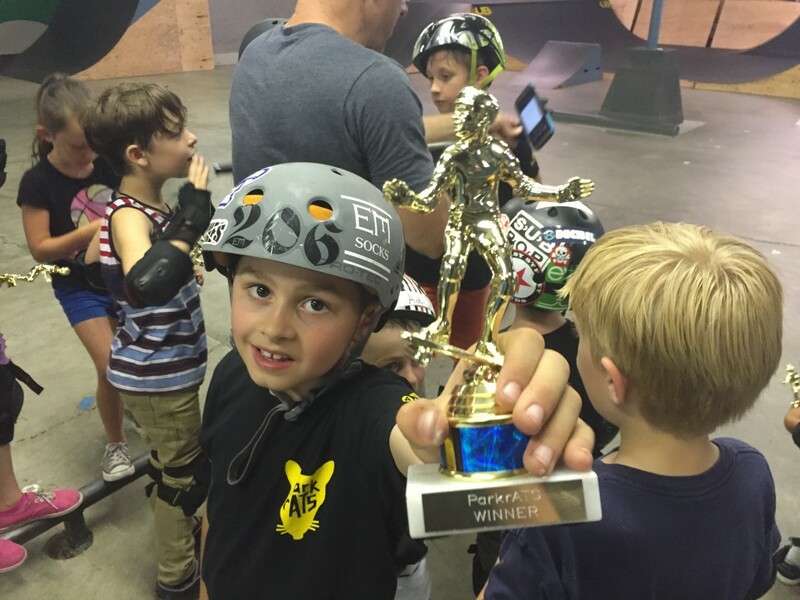 Join our ParkrATS Skateboard Team! Weekly practice and instruction starting Oct 5th! 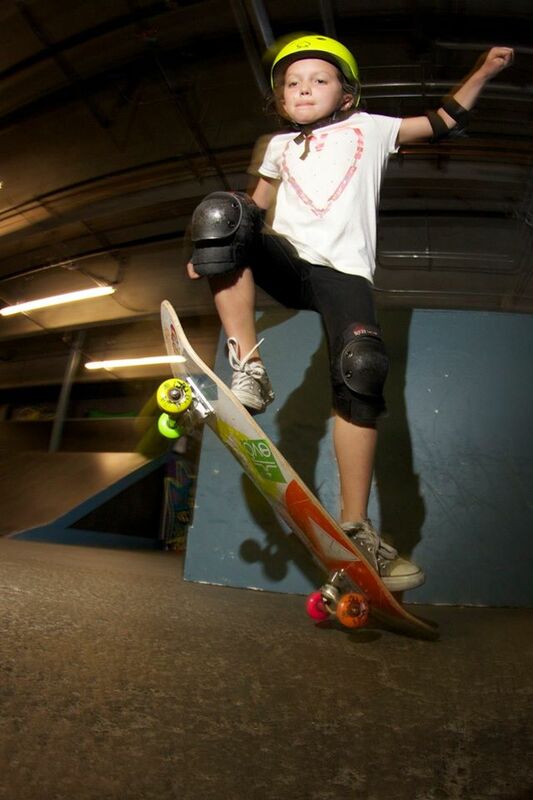 Is your young skateboarder looking to learn more on their skateboard?! 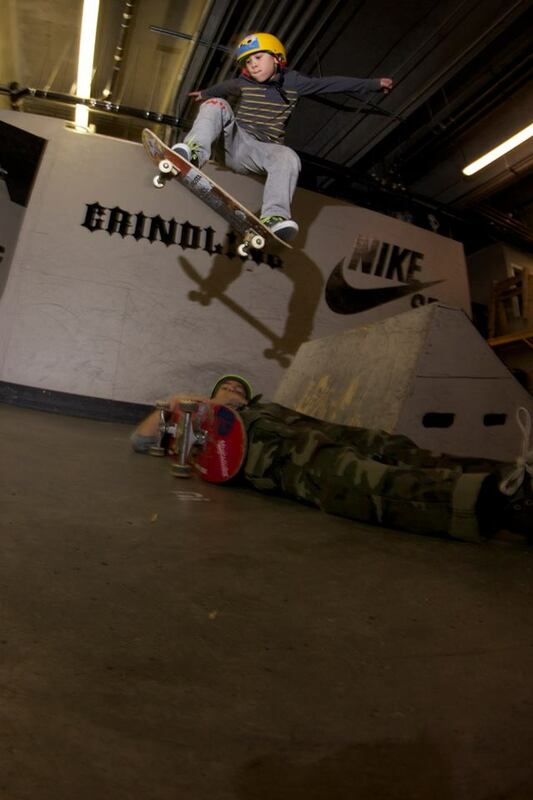 Maybe interested in skateboarding, but intimidated by the outdoor skateparks or doesnt know where to begin? 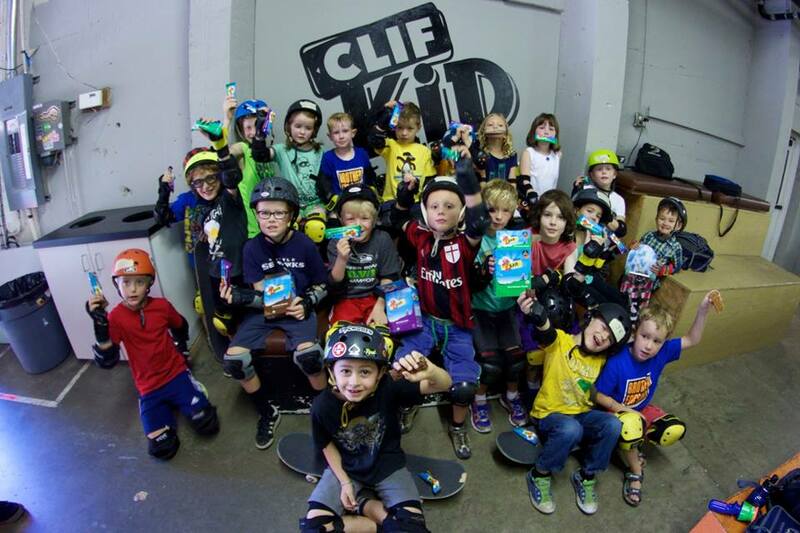 Join our 12 and under skateboard team! 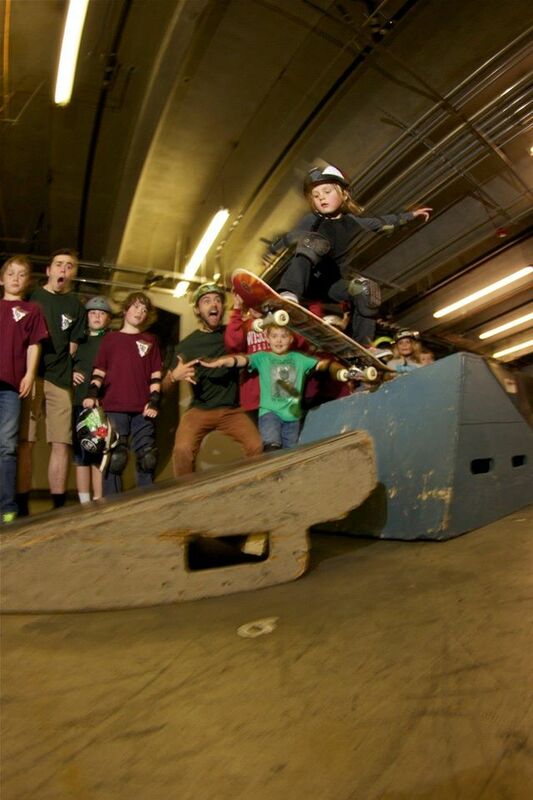 PARKRATS – Seattle’s Skate Crew! Spots are limited! – Email us with Name, Age, and T-Shirt Size! – SIGN UP TODAY! 12 and under boys and girls – great for beginners! We are indoors, so no worries about the weather! Sunday Group Lessons are back! 12pm-1pm, and 1pm – 2pm! 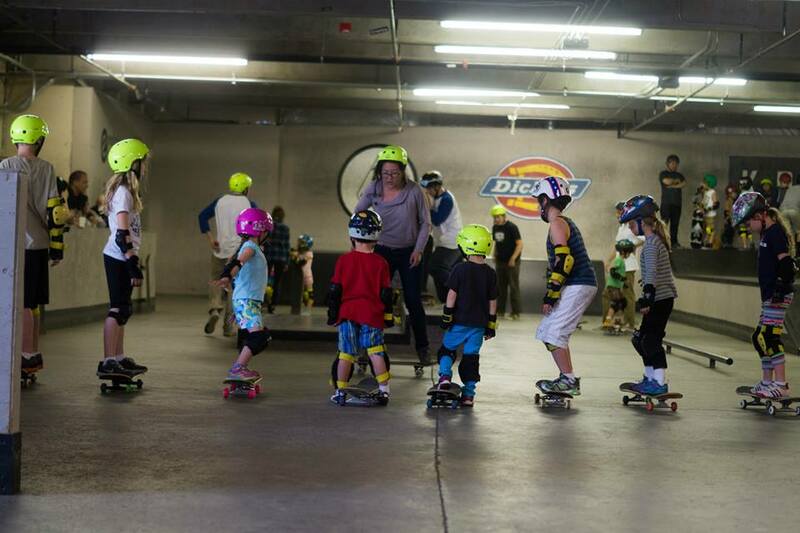 Learn to skate this Fall with All Together Skate Park and Skate Like a Girl. 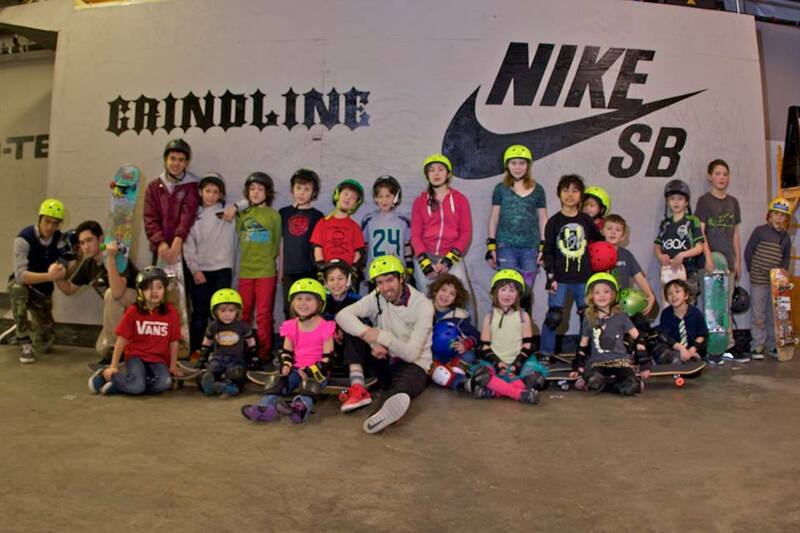 The best staff & volunteer coaches will guide new skaters through the basics of pushing & cruising, and more advanced participants will master ollies, drop-in’s and more! 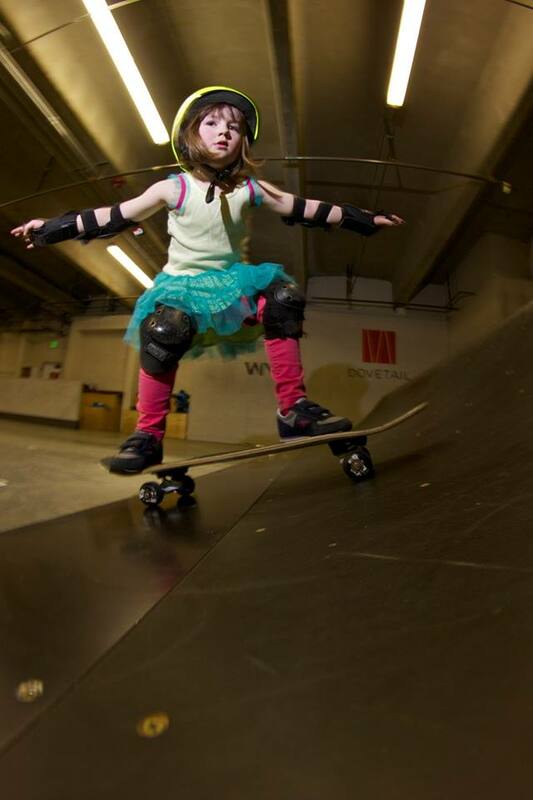 Who: Girls and Boys ages 12 & under who want to learn to skateboard! This class is open for all ability levels, although most participants are beginners. 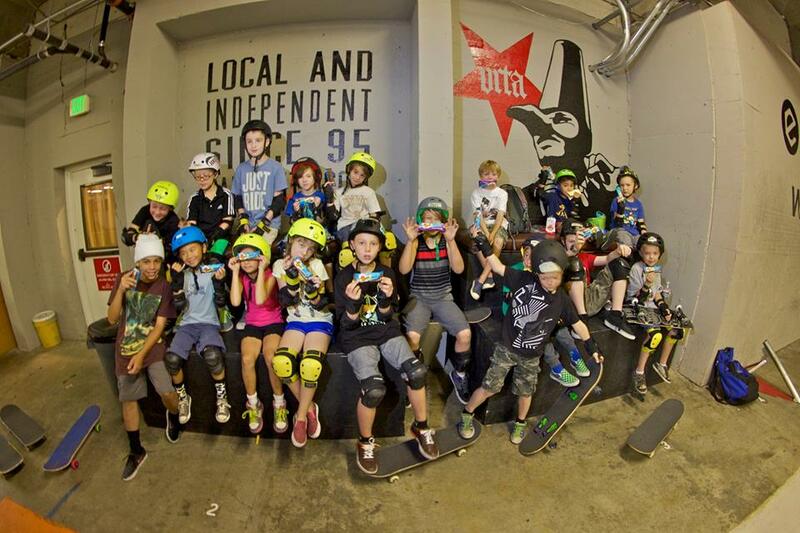 What: Structured, inclusive and supportive 1 hour classes for youth to learn how to skate! Helmet, skateboard, and pads rental included! Pre-register for 10-weeks and get 2 classes FREE! 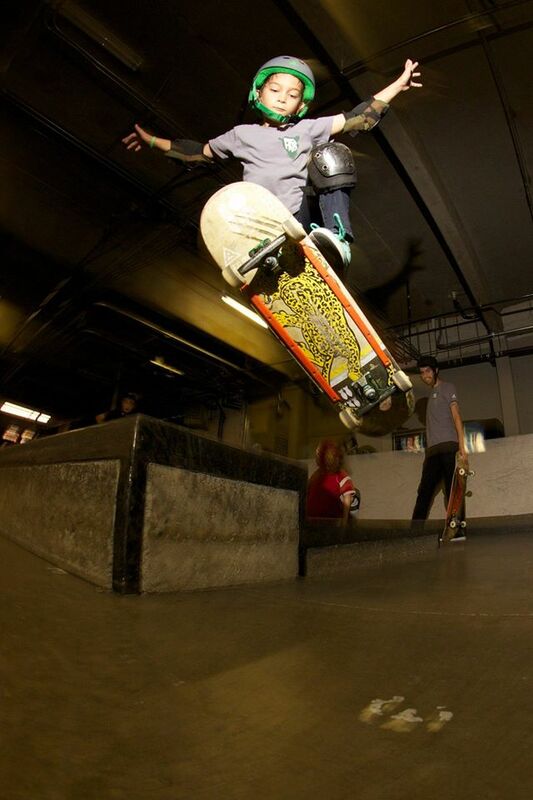 Where: Seattle’s only indoor skate facility, All Together Skate Park – Located at 3500 Stone Way North (under evo). When: Classes start at Noon or 1pm (your choice!). Please arrive at least 15 minutes early for gear up and check in! Need more info? 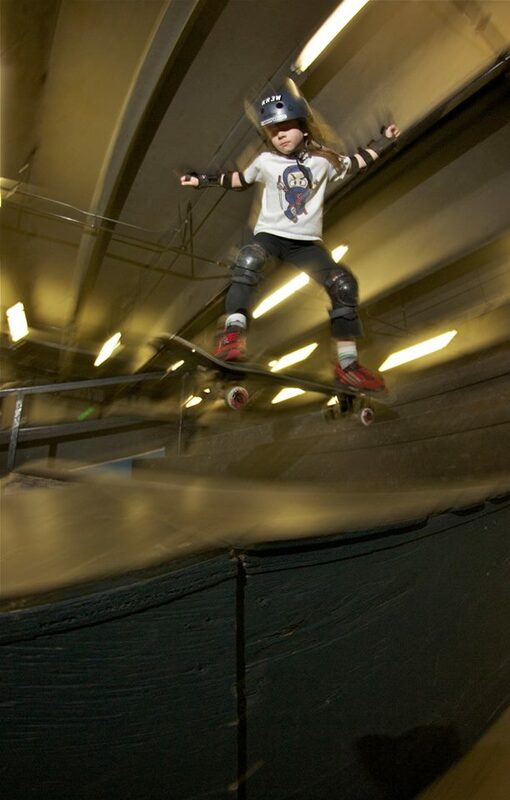 email Skate Like A Girl HERE! 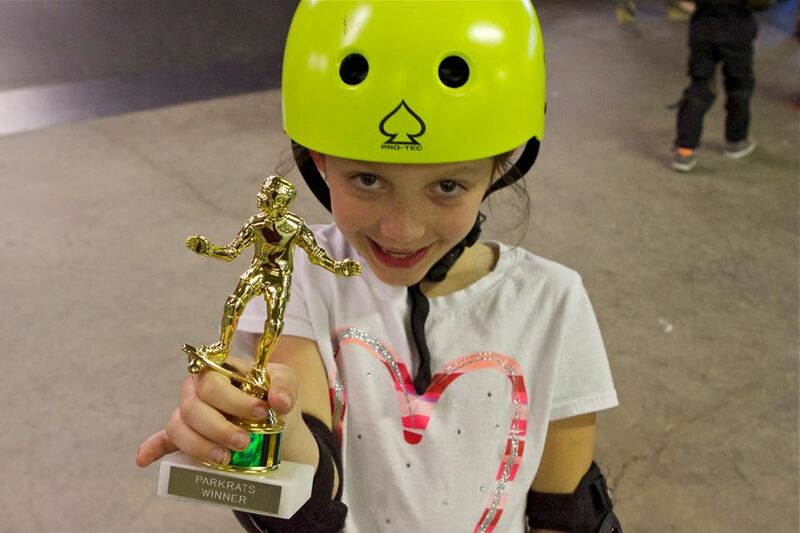 Refund & Program Credit Policy: Skate Like a Girl will honor a full refund or program credit for any participant who did not have a positive experience within 24 hours of the first day of a program. If you are unsatisfied with your experience, you must contact Program Director, Kristin Ebeling within 24 hours of the start of the program. Further, any participant who is injured at any point of time during a Skate Like a Girl program will be entitled to a full refund or program credit, which will be delivered via check within two weeks. Please contact Kristin Ebeling to receive your refund. Make Up Day Policy: In the event of program cancellation, due to weather or other factors, participants are entitled to a make up class, or pro-rated refund equal to the class time that was missed. Further, for rolling programs, such as 12 & Under, each participant is entitled to one complimentary make-up day for a class missed for personal reasons. All Make up days must be confirmed with Program Director, Kristin Ebeling. 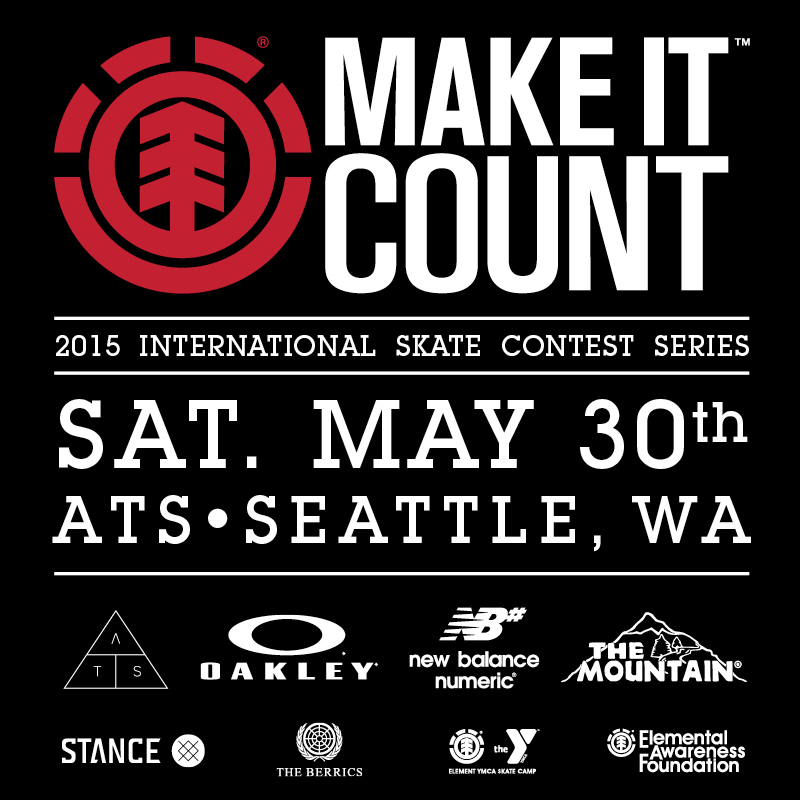 Element Make It Count Skate Contest Saturday May 30th! 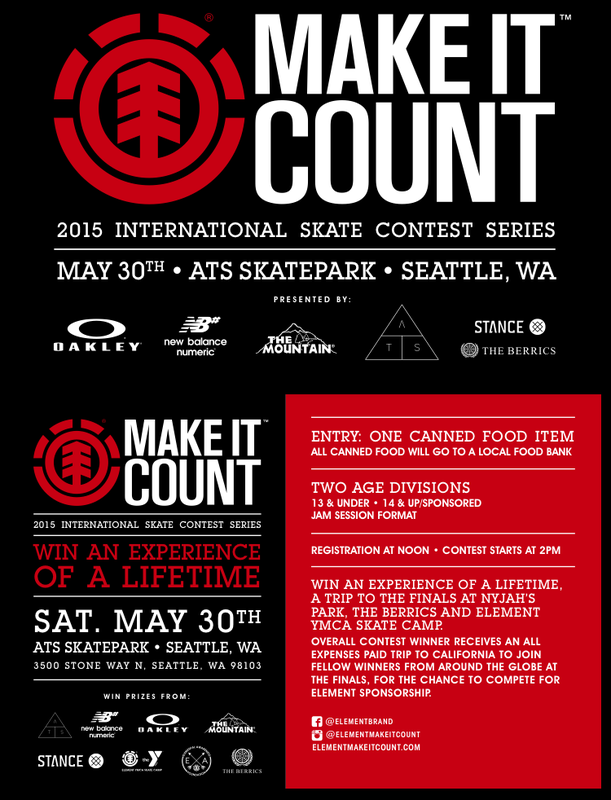 Win an experience of a lifetime at the Element Make It Count skate contest series this Saturday May 30th! 1 overall winner will get an experience of a lifetime with a trip to the finals at Nyjah Huston’s skatepark, the Berrics, and the Element YMCA Skate camp. ALL EXPENSES PAID! Cost: 1 canned food item! items will be donated to a local food bank! 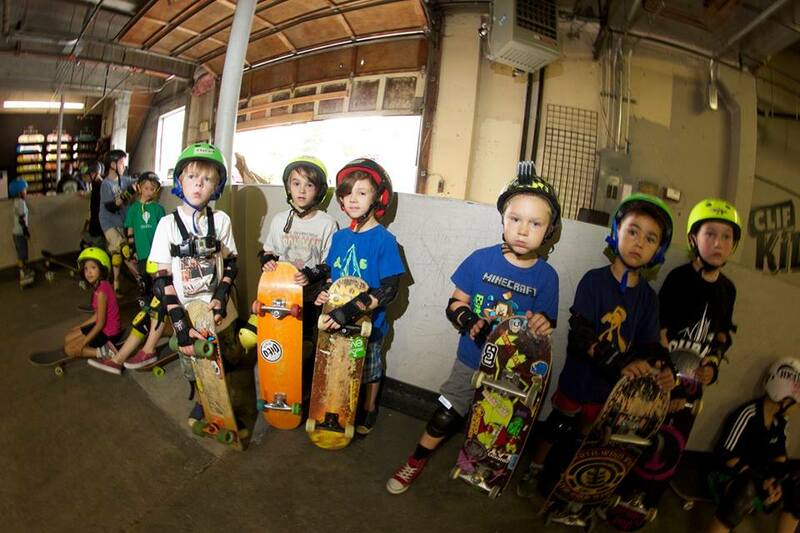 SUMMER 2015 Skate Camp! Sign up today! Now with 2 Sessions every week! *NEW for 2015! – We are doing 2 sessions every week. AM and PM classes! 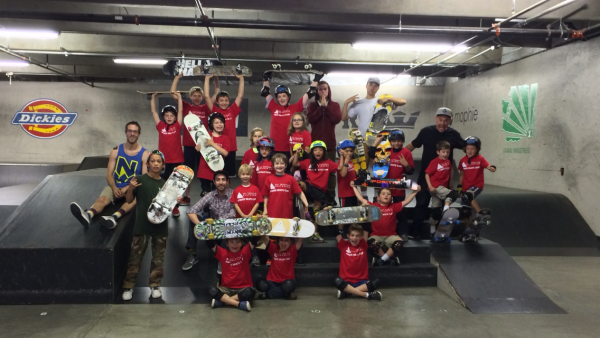 SUMMER 2015 Skate Camp! Sign-up Today! Now with 2 Sessions every week! 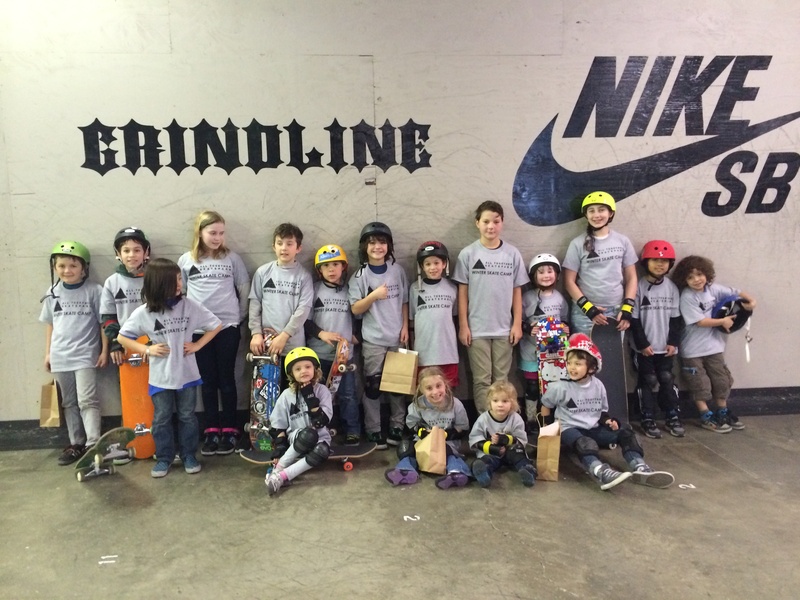 Spring Break Skate Camp! 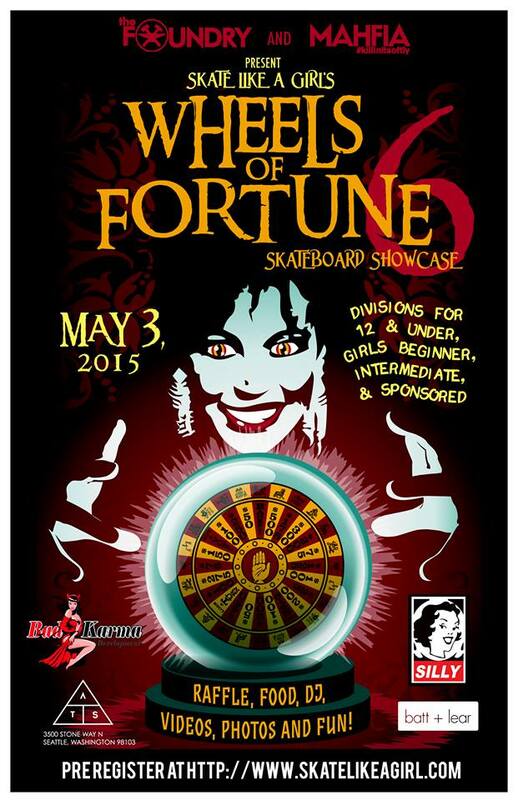 April 6th – April 10! Few Spots Left! Sign Up TODAY! April 6th – April 10th! Few spots available! Our April 13th – 17th camp is full. 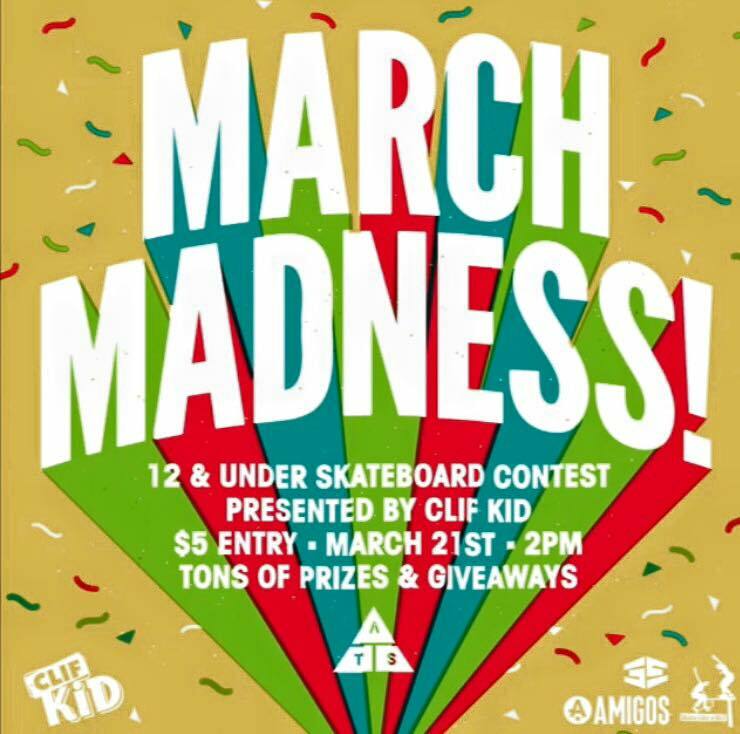 March Madness 12 and Under Skate Contest Presented by Clif Kid! Sat 3.21! 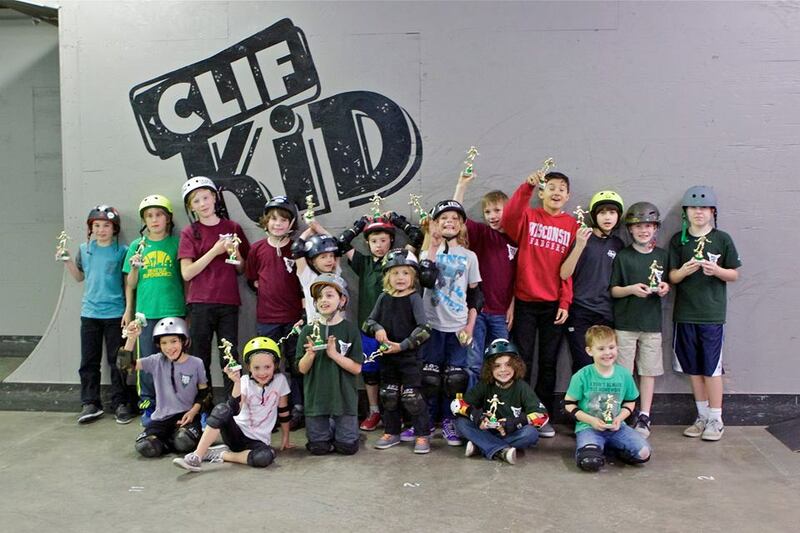 March Madness 12 and Under Skate Contest! Registration /check-in/ practice starts at 12pm. 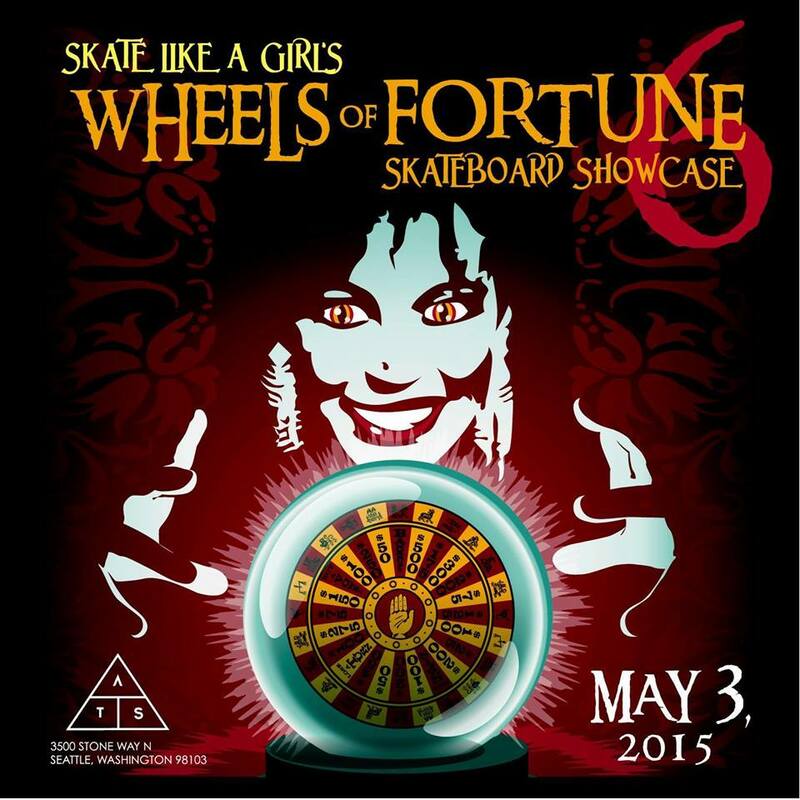 Each skateboarder will have 1 minute to showcase what they have been working on. Everyone is a winner! 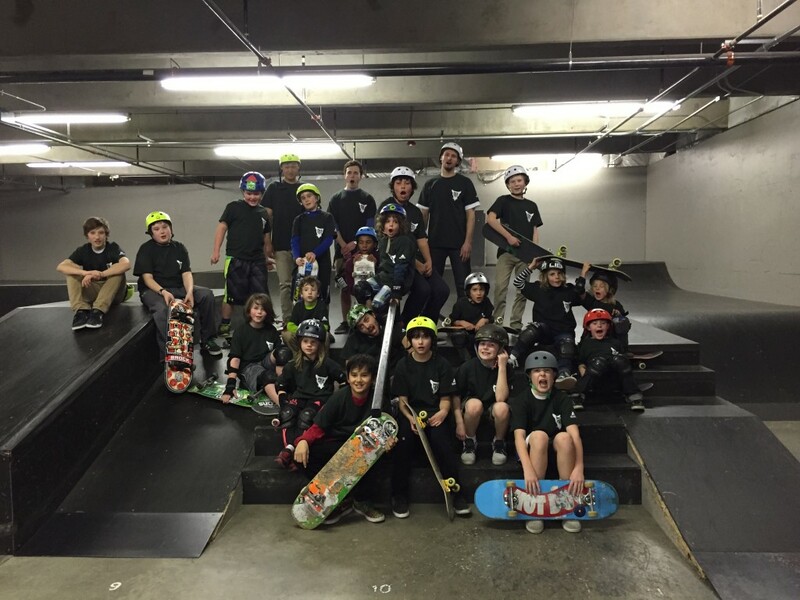 Spring Break Skate Camp! April 6th – 10th or April 13th – 17th! Sign up today! April 6th – April 10th! or April 13th – April 17th!